Malta is one popular destination so there is a good chance you’ve already been to this beautiful island nation. However, there are plenty of reasons to go again. Below we have listed ten of what we think are the perfect reasons to go back to Malta. Of course, if you have never been, these are very good reasons to book your first Maltese holiday. 1. Although it plays host to many tourists, Malta itself remains authentic. 2. The price-quality ratio is spot on for most hotels. 3. Malta’s restaurant scene invites you on a culinary trip round the world. Such trips take time. 4. There are enough theatres, museums and events for endless cultural enjoyment. 5. Malta is improving its infrastructure all the time: every year new attractions are added to the list. 6. Where else can you explore a whole island by bus – and at such a low cost? 7. Every holiday to Malta will increase your interest in Megalithic temples and the Knights of St John. 8. The Maltese really know how to enjoy the Advent season. It makes Christmas shopping a lot of fun. 9. The same walks and tours display a myriad of different characters during the changing seasons. 10. Valletta is Europe’s elected cultural capital for 2018. By then at the latest, you need to get back for a visit. 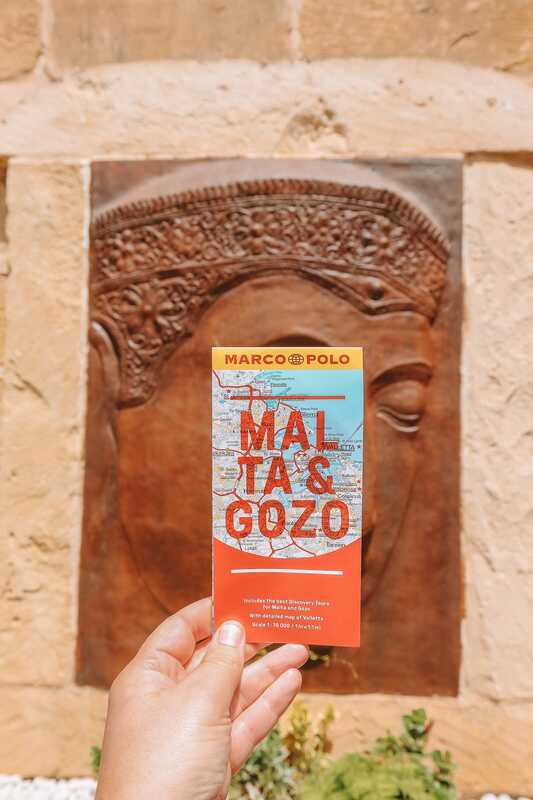 Buy the Malta Marco Polo Guide. Malta’s cuisine has been strongly influenced by its close proximity to Italy, the British colonial period and British mass tourism. The legacy of traditional English food is unfortunately not one of the island’s strong points. However, it does mean that even in basic hotels a hearty English breakfast is served – and that can never be a bad thing! The influence of Italian cooking offers a prospect of greater delights. Apart from the pizza and pasta dishes on menus everywhere, excellent, newly established restaurants serve up fine Italian meals with sophisticated meat, fish and vegetable dishes. In general a clear trend has been noticeable in recent years towards more and more gourmet establishments with prices to match, and towards exotic dining. Atmospheric wine bars are a new feature of the fashionable scene. If you are so inclined, you can take a culinary trip round the world on Malta with destinations ranging from Greece and Mongolia to Malaysia and Indonesia, India, China and Japan. A number of Arab restaurants have also made their appearance. To add to this, after long years of neglect, the availability of Maltese specialities has greatly improved. This involves a great many variations on soups and casseroles, rabbit recipes and vegetable dishes. The national dish on Malta is fenek – rabbit, usually served in a garlic and red wine sauce. Good restaurants also cook more and more often with genuine Maltese olive oil once again, as the cultivation of olives on the island is enjoying an upturn. The islanders were long dependent on cheap imports from Italy. Malta has no obvious national drink – but if it came down to it, it would have to be a toss up between Cisk beer and Kinnie. On the island itself the only drinks that are produced are milk, fruit juice, several kinds of liqueur and three sorts of a bitter fizzy drink called Kinnie made from unpeeled oranges, water and vermouth – as well as wine and beer. The latter is made in two breweries: Carlsberg and Farsons (Cisk). Wine from the barrel can be had only in simple village taverns nowadays. The restaurants usually stock bottled wines, as the island’s grape production comes nowhere near to meeting its demand. While it is true that Maltese winemakers have begun to import young vines of various types from France and Italy and plant them on the island, it is still necessary to buy grapes, in Italy as a rule, in order to be able to make enough ‘Maltese’ wine in the island’s cellars. The restaurant menu is always available in English. In better-class restaurants the waiter will show you to the table, and sometimes it is customary to wait at the bar or in a lounge to sip an aperitif while choosing from the menu. You should always book in advance at restaurants, especially at weekends and in the busy summer period to avoid disappointment. Meal times on Malta are not really Mediterranean-style extensive and flexible, but rather restricted in the British tradition. Lunch is generally served from noon until 2 pm, dinner from 7 to 10pm. Anyone who wants to make a more thorough study of the gastronomic scene on Malta should look out for the annually updated guide ‘The Definitive(ly) Good Guide to Restaurants in Malta and Gozo’, which is obtainable from the island bookshops. For the latest information see also: www.restaurantsmalta.com. What’s the best thing you have ever tasted on Malta? Comment below, tweet us @MarcoPoloGuides or tell us on Facebook. For perfect days in Malta, here is Marco Polo’s list of the top 10 things not to be missed! Our best recommendations – from the top down – help you to plan your tour of Malta’s most important sights. Weaving past cruise ships and freighters on a boat trip through the natural harbour overlooked by four fortified towns is the most stunning holiday experience you can get! Grand Harbour is the biggest and probably the most dramatic harbour in the Mediterranean. Unmissable! Enclosed within its high fortress walls, Malta’s “Silent City” Mdina has preserved its baroque character. The most romantic way to explore it is riding in a horse and carriage. The little fishing village of Marsaxlokk (pronounced “marsa-shlokk”) has picture postcard appeal: colourful fishing boats, good fish restaurants and hardly a hotel to be seen. A very popular place for day trippers not least because of its attractive Sunday market. Victoria is the largest town on the island as well as the economic and cultural centre of Gozo. The Citadel, perched majestically on top of a hill is visible for miles around. It offers an almost panoramic view of the island and its beautiful table mountains. Anyone wishing to learn more about the Neolithic period should visit this multi-level subterranean structure. There is nothing quite like it anywhere else in the world. The island’s historically most important church is in Valletta. Beneath its splendid inlaid marble floor are the mortal remains of Knights of St John from three centuries. This is where you find the beautiful sandy beaches. Golden Bay is always popular, while adjoining Ghajn Tuffieha Bay offers tranquillity and pure nature. This sprawling town actually has more sights to offer below ground than above. It is here that you will find early Christian tombs as well as World War II bunkers. Although not a match for Valletta’s magnificence, the first capital of the Knights of St John still exudes a medieval flair and is a good place to observe Malta’s lifestyle.